Michael Milne has a National Diploma in Accounting (NZ) and a National Certificate in Business Studies (NZ). 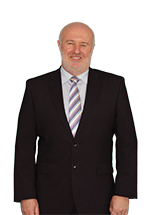 He has been a Chartered Accountant since 1991 and is a member of Chartered Accountants Australia and New Zealand and a graduate of the Australian Institute of Company Directors. Michael has been Chief Financial Officer and Company Secretary since March 2006. Michael has previously been Financial Controller for a number of organisations, most recently the Security Network Group Ltd and Westoil Petroleum Pty Ltd as well as Chief Financial Officer and Company Secretary for ANZCO Australia Pty Ltd and Director of a number of subsidiary companies.